We are a fully authorised distributor of Prysmian Bicon Cable Cleats and Cable Clamps for Single Cables. We also distribute the full range of Ellis Patents Cable Cleats. 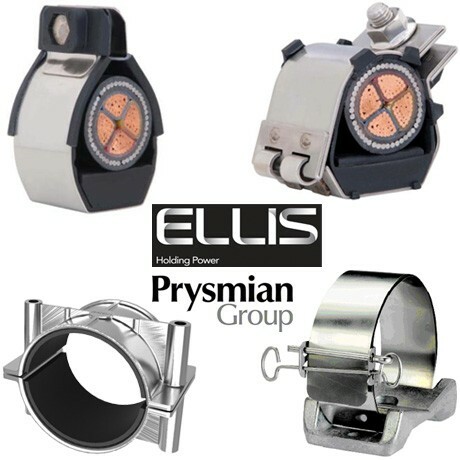 This comprehensive range of cable clamping solutions for Single Cables from Ellis Patents and the Prysmian Group (formerley Pirelli Cables and BICC) include Cable Cleats with a Two Bolt Fixing and Cable Cleats with a Single Bolt Fixing.